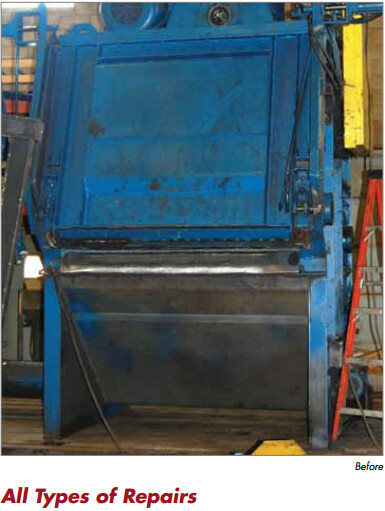 Blast Cleaning Technologies has a complete program focused on In-House Repairs for all types of shot blasting equipment. 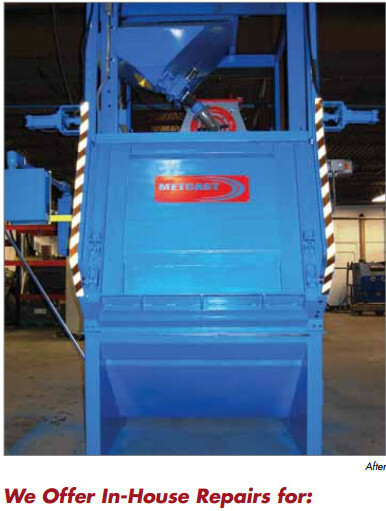 We can repair from the smallest components of your wheel blast or air blast machine to the actual machine itself. We have your components shipped into our shop, repair (upgrade them if requested) and return them to you. Much More. Call today and we’ll be happy to work with you on your shot blast machine repairs. Download a pdf of this service sheet.